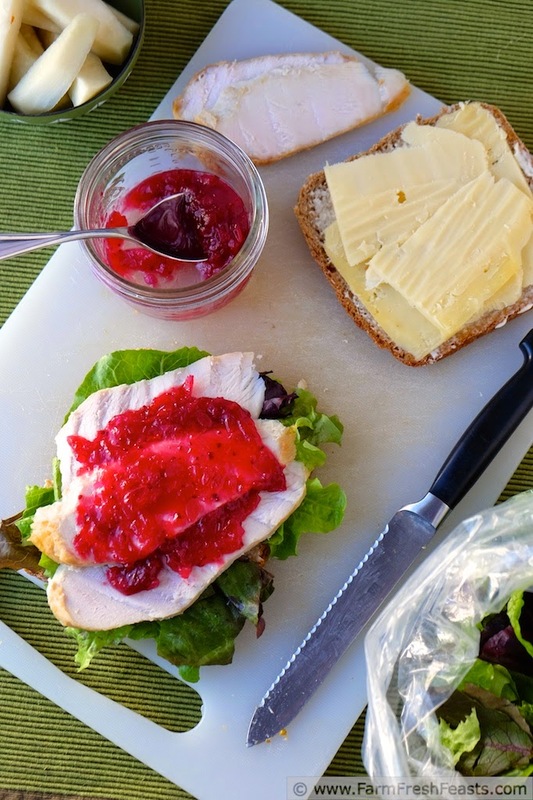 Sweet and spicy, this gluten free condiment is terrific on a leftover turkey sandwich. The bright color makes a lovely edible gift during the holiday season. I have a confession and an apology. Apology first. When I shared the Cranberry Chicken Swiss Chard Leek Enchiladas I was unaware that one of the ingredients I used, cranberry salsa, was not always available. I'm sorry. Now for the confession--I often work ahead, posting recipes made up to a year in advance. See, I'm slow as the molasses in my cold kitchen in the wintertime. If I were to get recipes written, photographed and typed and published in order I'd be sharing tomato recipes in November, pumpkin recipes in January, and butternut squash recipes in April. Nobody wants that--not even the folks Down Under?! Instead of missing the seasons by a mile, I opt to save posts until they are seasonally ripe. I've got some flexibility that way, so I can toss in a Beef and Venison Sloppy Joe recipe or a Slow Cooker Apple Chai for a crowd when the spirit moves me [and I'm asked]. Most of the time this method--of working ahead and taking my time, works fine. Sometimes I screw up. Royally. In this case I tried to find the same brand of cranberry salsa in the store and even contacted Ocean Spray only to learn that they don't make cranberry salsa each year. Instead of just saying 'oh well, you're on your own', I grabbed a bag of cranberries from my freezer stash and some hot peppers from my Community Supported Agriculture (CSA) farm share and made a batch. 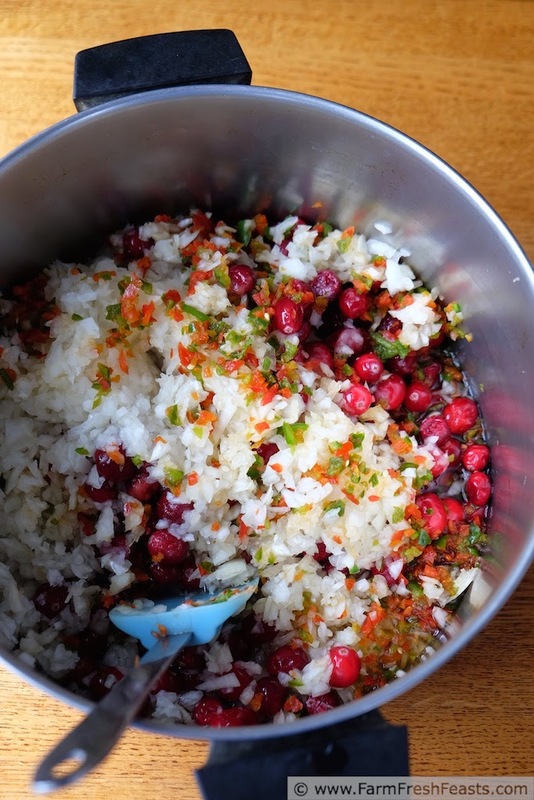 If you've ever made cranberry sauce from the bag of berries, you can make cranberry salsa. It's just boiling and stirring, after all. If your cranberry sauce involves opening a can from both ends, let's talk and explore your options. I canned this cranberry salsa. In fact I've canned so many things that my shelf support broke! Luckily the shelf fell onto the jars of salsa verde and Cantina Style Strawberry Salsa, so nothing slid to the floor. Although I did get 7 jars to fill up my canner, I did have a wee bit left over and it has been in my fridge for 2 weeks and tastes delicious. I'll bet it's good for at least 2-3 weeks in the fridge, and that's plenty long for Thanksgiving turkey sandwich leftovers. That means you don't have to process this before using. Salad greens from the farm share and kohlrabi pickles make this sandwich amazing. If you have a Thanksgiving gift-giving urge you could whip up a batch of this and ladle into half pint jars (you'll have about 10) then cover with reusable lids and refrigerate. Encourage the lucky recipient to spread this on a Thanksgiving turkey leftover sandwich (may I suggest Multigrain Cereal Buns or the Multigrain Sourdough Bread?). 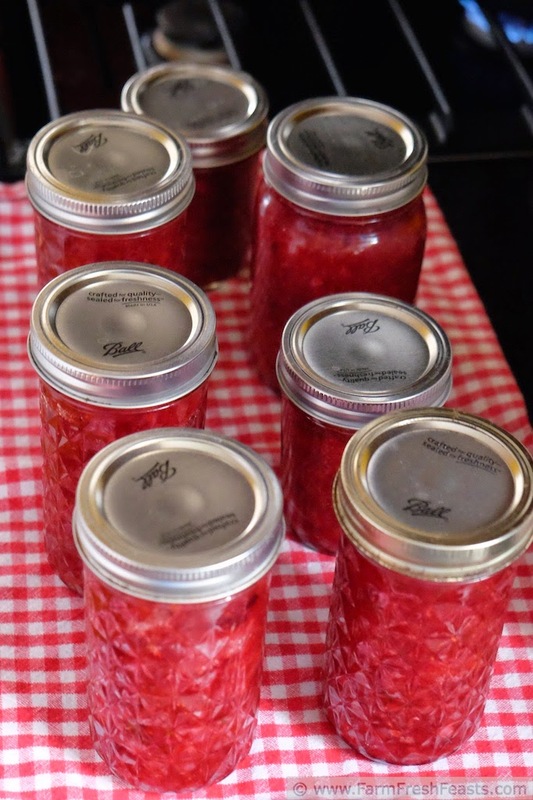 This recipe is adapted from the National Center for Home Food Preservation's one. That recipe calls for red onion and serrano peppers and I had neither, so I used what hot peppers I had from our farm share and my garden--mostly jalapeños with a couple of spicier ones thrown in. This made about 80 ounces. Because it's late in the canning season for me, I cobbled together an assortment of 8 to 16 ounce jars. I used the same processing time for all of the jars, but if you're not a canner it will keep in the refrigerator for several weeks. Do you like making salsa? I sure do. I've got canning recipes for Cantina Style Strawberry Salsa, Canned Peach Salsa with Golden Plums, Salsa Verde with Roasted Hatch Chiles, and Roasted Corn & Hatch Chile Salsa. For fresh salsa recipes, I've got Harvest Sweet Potato Salsa, Fresh Cherry Peach Salsa, and Fresh Peach and Corn Salsa. 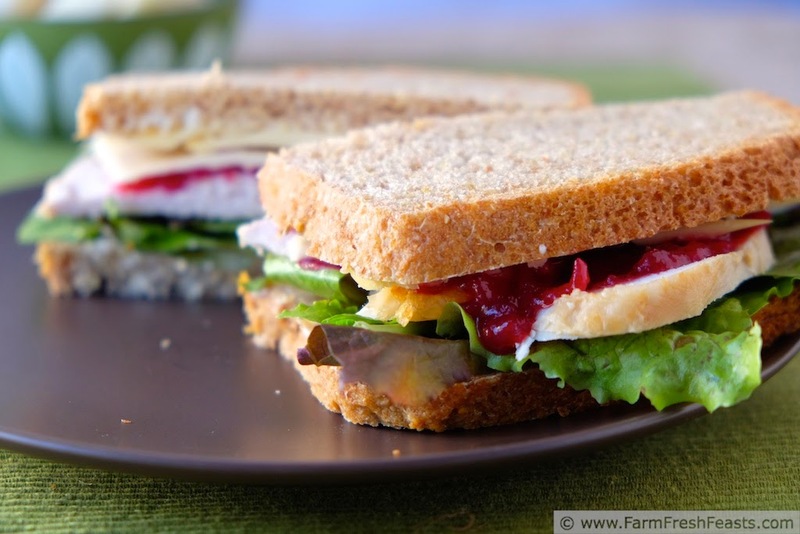 Sweet and spicy, this gluten free condiment of honey-sweetened cranberries, onions, and peppers is terrific on a leftover turkey sandwich or in a host of recipes. Total time does not include 20 minutes processing time if you choose to can this salsa. Now let's make the salsa. In another large pot, combine all the ingredients over medium high heat and bring to a boil. 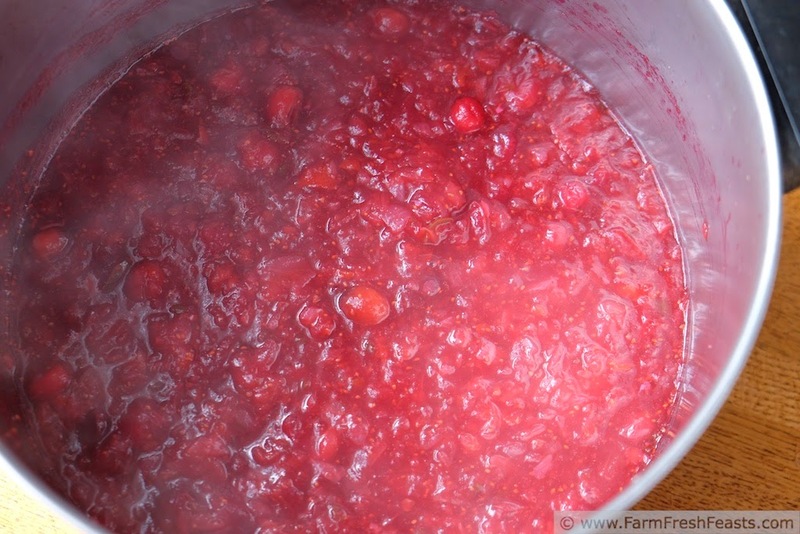 Boil for 10 minutes--most of the cranberries will burst and the mixture will thicken. If you're not canning this--Boom! You're done. Just cool the salsa and chill it until you're ready to use. For my canning folks, keep on going. It's worth it! 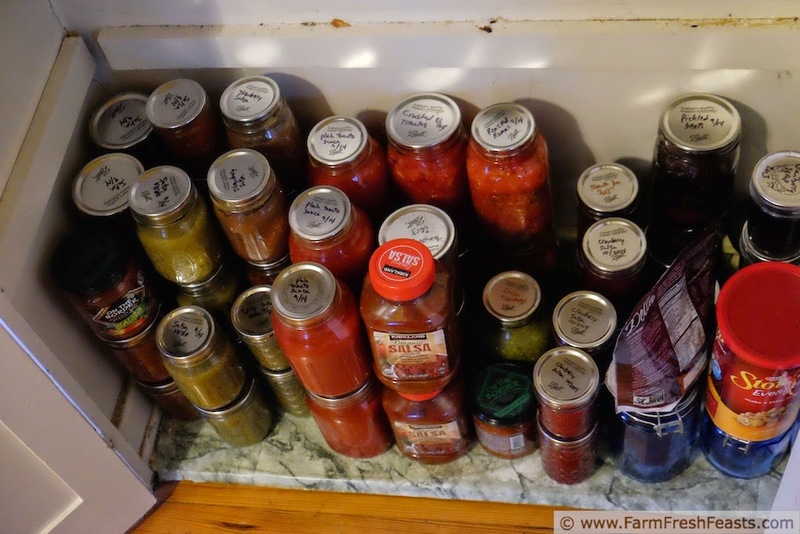 Remove jars from the canning pot and ladle hot salsa into the hot jars. Wipe the jar rims with a wet paper towel and add a lid and a ring [I still soak my lids in hot water--scooped out of the canning pot while the salsa is boiling--for a few minutes to soften the sealing compound]. Tighten the rings "fingertip tight" which means to me don't really crank on it, but make sure you've made an effort to secure the ring to the jar. Place filled jars in canning pot, cover, and return water to a boil. Once the water has resumed boiling set the timer for 20 minutes. When the timer rings, turn off the heat. 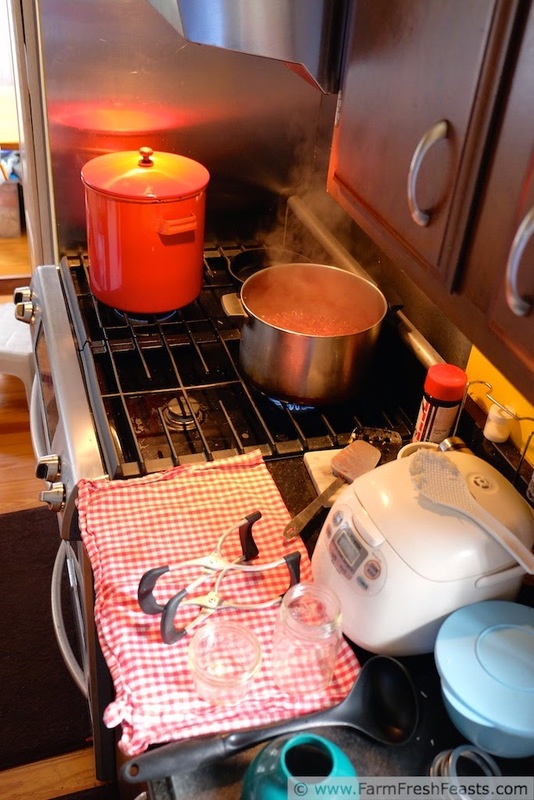 Let the boiling stop before removing the jars to a towel-covered counter top and listening for the lovely Ping! that signifies the seal. 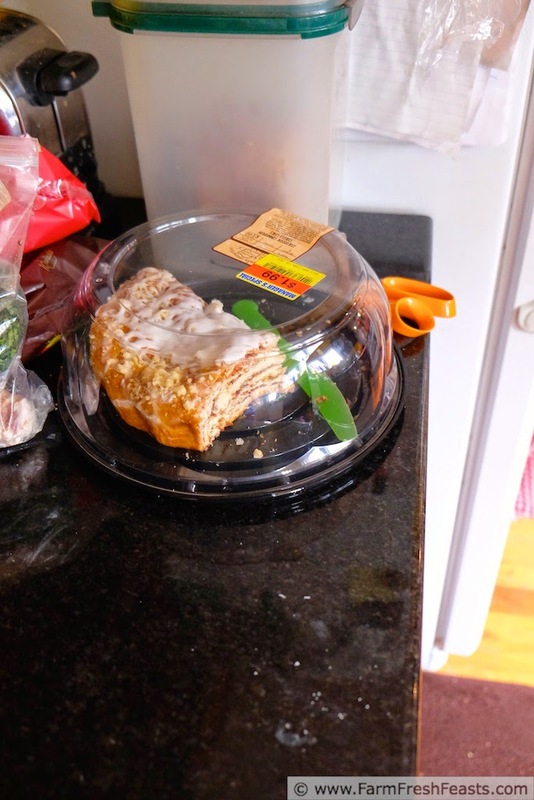 Leave the jars undisturbed overnight, then remove the rings--and write on the lid so you know what you've got in there! Reality check--I can't cook and can in the same day. This was my canning fuel and the kids' after school snack. 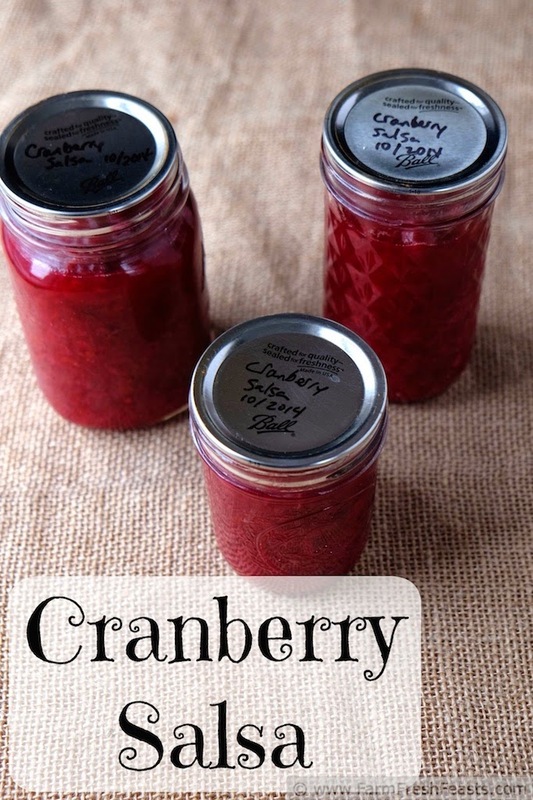 For more cranberry recipes, please see my Cranberry Recipe Collection. It's part of the Visual Recipe Index by Ingredient, a resource for folks like me eating from the farm share, the farmer's market, the garden, the neighbor's garden, and great deals on ugly produce at the grocery store. I loved the reality check at the end. I'm still looking for peach kombucha beer as that was even better canning fuel.